Some say Formula 1 has yet to find traction in the United States, but you wouldn’t know it when visiting Austin, Texas. The United States Grand Prix at Austin secures the No. 1 spot on the Rev Race Weekend Index with an overall score of 26.5. Austin also receives an Editor’s Pick recognition as Best for Music. How does each Grand Prix experience differ? What is on offer in the host cities beyond the race? Why should I even make the investment when I can watch the race on TV? The Rev team sets out to definitively answer these questions and more with the Rev Race Weekend Index, showcasing the best of Formula 1 circuits, cities, and culture. Ranking the top 15 race weekends in three crucial categories, the Index evaluates each destination to guide fans toward the Grands Prix that will fulfill their ultimate Formula 1 desires. View the comprehensive scoring breakdown in the full with the Rev Race Weekend Index. 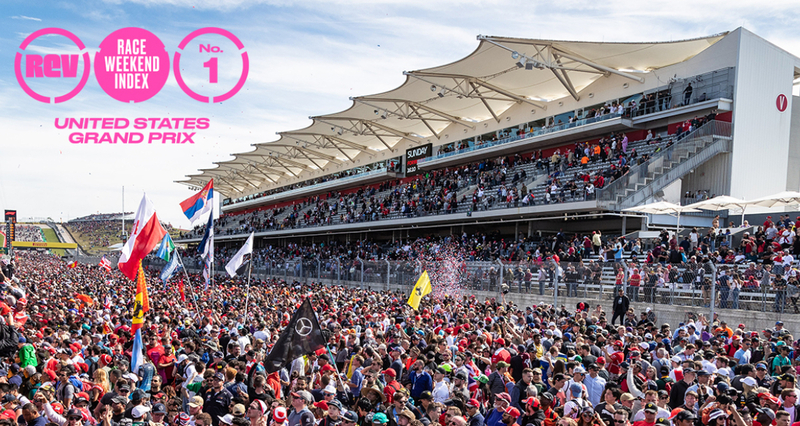 Circuit of The Americas chairman Bobby Epstein and digital marketing manager Harlow Yaeger, along with The Rev Journal editor-in-chief Magnus Greaves and VisitAustin President & CEO Tom Noonan, share their thoughts on the first annual Rev Race Weekend Index. Rev Collection 001, a series of journals, art prints, and merchandise, combines cutting-edge design and photography with insightful writing to take fans deep inside the top race weekends. The Rev Race Weekend Dinner Series partners with top local chefs to introduce Rev subscribers to special F1 guests at intimate race weekend gatherings. Discover more at therevjournal.com and on Instagram at @therevjournal.